You need to understand warning labels to choose proper PPE. 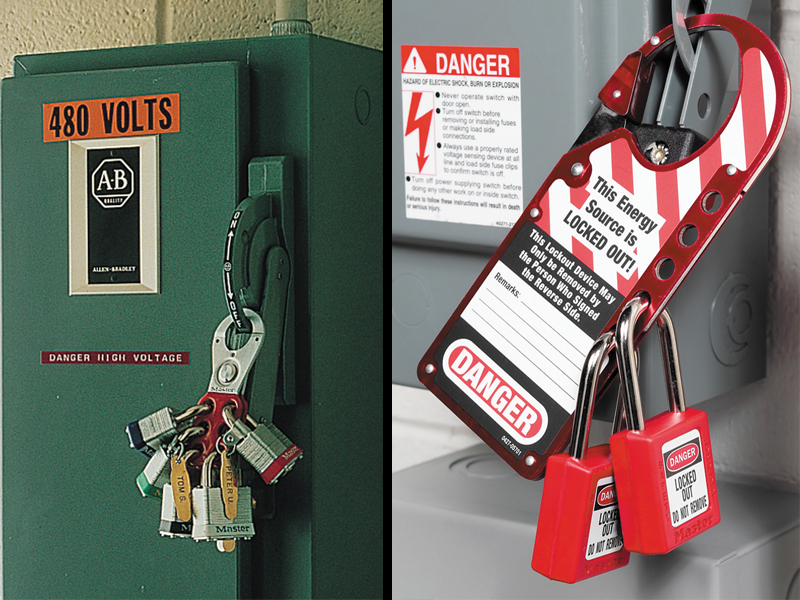 In order to protect yourself and workers in your facility, it is important that everyone is aware of how to read arc flash labels. Being able to read arc flash labels is crucial for management in determining PPE requirements, and is crucial for both electrical and non-electrical workers to determine whether or not they currently have appropriate PPE for the task at hand. First, let’s take a look at a typical Arc Flash Warning Label. There are two important pieces of information about arc flash here that determine the PPE requirement. The first is the Flash Hazard Boundary. This is the minimum working distance where appropriate PPE for energized work will effectively protect personnel against arc flash hazards. 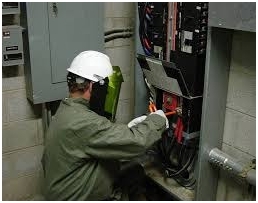 Working any closer than the minimum distance specified in the Flash Hazard Boundary can result in serious harm in the case of an arc flash incident because the PPE recommended by the label will not protect a worker from the effects of arc flash. Next, you’ve got the energy level of cal/cm square, with a flash hazard at 18 inches. In this case the energy level is 3 cal/cm square. This is the most important piece of information on the warning label: it tells you how severe a potential arc flash incident could be. This number is determined by an incident energy study. Level 1 PPE could be anything that covers exposed skin, hearing protection, insulated gloves and shoes, and eye protection. Level 2 PPE would be similar, except that all of the clothing has to be arc rated. Level 3 generally requires arc flash suits and other bulky PPE. However, there are no hard and fast rules for determining PPE, just helpful guidelines. PPE categories for your facility should be heavily influenced by your Electrical Safety Program. PPE is ALWAYS the Last Line of Defence! This hierarchy of mitigation controls should always be followed to effectively reduce the risk of an arc flash hazard occuring. PPE levels are also determined by the amount of risk that your company is willing to absorb. Statistics gathered by the NFPA show that the average electrical accident costs $80,023.This cost includes both workers’ compensation (medical bills and wages while unable to work) as well as equipment costs. If it is more expensive to purchase and maintain PPE than it is to allow for electrical accidents, then you need to look in to the other controls that can be used to mitigate arc flash hazards. Your electrical safety program should outline the process to follow if you cannot provide higher levels of PPE (but can use other controls to lower incident energy levels on the work site). Overall, your electrical safety program and your ability to absorb risk will determine how the PPE levels are developed for your company. First and Foremost, Your Goal Should Always be to Keep Your Workers Safe! You can find out more about using PPE to mitigate arc flash hazards here. If you can’t eliminate an arc flash hazard, the next best arc flash mitigation technique is substitution. Unfortunately there are not a lot of ways to perform substitution to mitigate arc flash: electrical energy cannot simply be replaced by some other form of energy to provide power to equipment. Arc resistant switchgear as a substitute for currently installed switchgear. Arc resistant switchgear contains the energy of an arc flash inside the equipment and directs it away from personnel. How can you improve the safety of your system? Another way to reduce arc flash incident energy is by taking advantage of Zone Selective Interlocking (ZSI). ZSI allows your breakers to communicate with each other to provide the fastest tripping time possible. You can read more about ZSI here. An important thing to note is that in order to take full advantage of ZSI, you need to make sure your devices are coordinated. You can also mitigate arc flash hazards by adding an arc flash reduction maintenance switch to your system. The maintenance switch reduces incident energy levels on equipment downstream from the maintenance switch. The maintenance switch has its own analog circuit which is designed to trip faster than digital circuit breakers. More information can be found here. To summarize, there isn’t a whole lot of substitution that can be done when dealing with electrical power systems. However, you can still replace out of date equipment with arc resistant ones. You can also add equipment that can perform zone selective interlocking, and can add equipment with a maintenance switch to your system. As always, thanks for reading! If you liked this article be sure to share with the buttons below and sign up for our newsletter where you will get these posts in your inbox and special offers. Be sure to follow us on Twitter and like our page on Facebook.